Thinking about buying an Auto GPS System? Up to 7” wide screens ideal for navigation, MP3s, pictures and movies. No longer is it necessary to pull out the big road atlas to find the best route to a destination. Whether it be across town or across the nation, an auto GPS system makes it easy to find just about any place. GPS stands for Global Positioning System. Thirty one satellites up in space can communicate with land-based receivers to let that receiver know down to almost the inch where it is at. Those receivers come in different grades from ones used by land surveyors which are highly accurate to handheld models that are still accurate down to just a few feet. Built into the GPS receiver of an auto GPS system are maps of the part of the world where the receiver will be sold. 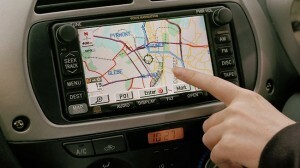 An off-the-shelf unit purchased in the US to be used in an automobile will have detailed maps down to the street level. Preprogrammed into the unit are businesses, hospitals, gas stations, rest areas, attractions, restaurants, veterinary offices and many other points of interest that a traveler may be seeking. 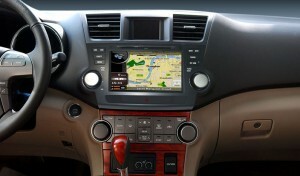 An auto GPS system utilizes touch-screen technology. All one needs to do to navigate is touch the screen. Navigation can begin by typing in an address for the unit to find or selecting from a menu list of all of the points of interest. When the GPS receiver is first turned on it picks up the signals from some of the GPS satellites up in space. It calculates by those signals where it is at on the Earth and therefore will bring up points of interest local to where it is currently at. If one is looking for the nearest major burger selling franchise restaurant, the unit will tell you what is close by whether it is in California or Maine. No longer is it necessary to fret over finding that doctor's office downtown or that place where the delivery is supposed to go. Just type in the address and the auto GPS system will calculate a route from where it is at. The user can further refine the parameters to avoid highways, avoid toll-roads, take the quickest route and other options depending on the unit purchased. The route is both called out by voice and shown on the screen. A human sounding voice gives turn-by-turn instructions while the onscreen images graphically show instructions that are helpful getting through even the most difficult to navigate routes. More advanced units have the capability to receive live traffic information. Some units include a one year subscription to the fee-based traffic reporting service while others do not. There is no fee to access the signals provided by the Global Positioning Satellite System. The live traffic information service picks up traffic information along the route and can reroute around construction, accidents or other traffic delays. It can be a real time saver but is not foolproof. The traffic information has to be accurate and reported for it to be of use which could possibly vary depending on where one is at. Many auto GPS system units have Bluetooth capability in order to use a cell phone through the GPS unit. Bluetooth enabled GPS receivers provide the capability of hands-free calling when paired with a compatible cell phone. Also points-of-interest on the GPS such as a restaurant can be direct dialed from the information already in the GPS. Points-of-interest, phone numbers, hours and other information are usually part of the information stored in the GPS receiver's database of information. The amount of fuel saved by not having to drive around or getting stuck in traffic can pay for a GPS receiver. The prices have come down over the last few years as the units gain more and more exciting features. Travel guides and language guides can be downloaded into some GPS receivers providing information previously not available in a GPS receiver. Celebrity voices can be downloaded to give those turn-by-turn instructions, and the onscreen icon that shows the user where they are currently at can be customized to look like the vehicle one is actually driving.